The City currently does not offer commercial recycling services. Search the Local First Waste Management category for recycling options. What the city offers: Commercial pick up services provide a personal bin at or near your location of business that you deposit your recyclables into. This bin will be picked up on a regular basis. What can be recycled: Glass, paper, cardboard, aerosol cans, all plastics, cardboard, packing styrofoam, paper cartons, small metals (pots and pans) and aluminum cans. For more information, go to their website, here. Process: They offer a 90 gallon bin and do regular pickups. Contact Les Miller about obtaining a bin. Fee: Free, if your trash services are through the city. What the city offers: Self haul services. No collection services. What can be recycled: Glass, paper, cardboard, all plastics, cardboard, paper cartons, small metals and aluminum cans. For full list, including restrictions, click here. Process: Self haul services require you to gather your own recyclables and deliver them to specified locations, sixteen locations are here. Fee: Free service to drop off your recycling at self haul stations. What can be recycled: Glass, paper, cardboard, all plastics, cardboard, paper cartons, small metals and aluminum cans. For more information, click here. Process: Call to request recycling at your place of business. The City will deliver a 90 gallon blue bin or 300 gallon upon your request. Process: Call to request recycling at your place of business. The City will deliver a 90 gallon blue bin. If you have a large amount of cardboard waste, you can request a 300 gallon cardboard bin for $20 a month. 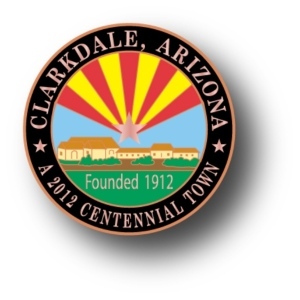 Process: You must be a current customer using Scottsdale commercial refuse collection services. Call the number listed and a service member will come out and analyze the best plan for you. Fee: 90 gallon container: $7.95 per month with weekly pick ups. 300 gallon container: $26.00 per month with weekly pick ups. What can be recycled: Glass, paper, cardboard, all plastics, cardboard, paper cartons, small metals, shredded paper and aluminum cans. For full list, including restrictions, click here. Process:Call to request recycling at your place of business. The City will help you determine what size container and frequency of pick up is needed for your business and then deliver your recycling bin.. You can select between a 90 and 300 gallon bin. What the city offer: The City offers self haul services require you to gather your own recyclables and deliver them to a specified location in the city. What can be recycled: Glass, paper, cardboard, plastics, cardboard, small metals, and aluminum cans. Process: Self haul services require you to gather your own recyclables and deliver them to 1255 Marina Boulevard, Bullhead City, Arizona. Website: www.campverde.az.gov The City currently does not offer commercial recycling services. Local nonprofit Sedona Recycles offers self haul services with drop off locations throughout Verde Valley. Process through Sedona Recycles: Self haul services require you to gather your own recyclables and deliver them to specified locations in this city. Sedona Recycles is not limited to Sedona, they have drop off locations spanning multiple cities, the locations are listed here. What can be recycled: Glass, paper, cardboard, plastics, metal, and aluminum cans. More items are accepted at their facility in Sedona. 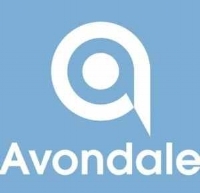 The City currently does not offer commercial recycling services. Local nonprofit Sedona Recycles offers self haul services with drop off locations throughout Verde Valley. Process through Sedona Recycles: Self haul services require you to gather your own recyclables and deliver them to specified locations in this city. Sedona Recycles is not limited to Sedona, they have drop off locations spanning multiple cities, the locations are listed here. What can be recycled: Glass, paper, cardboard, plastics, metal, and aluminum cans. More items are accepted at their facility in Sedona. 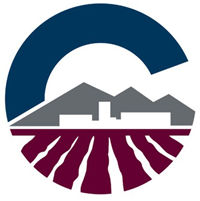 Website: www.cottonwoodaz.gov/index2.php The City currently does not offer commercial recycling services. Local nonprofit Sedona Recycles offers self haul services with drop off locations throughout Verde Valley. What can be recycled: Plastics, small metals, and paper. For full list, including restrictions, click here. 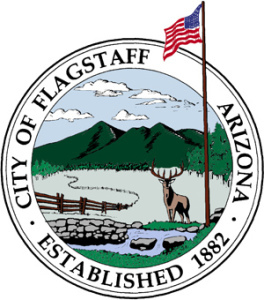 Process: Contact the City of Flagstaff Environmental Services to discuss options. They also provide staff that will educate your employees about recycling or help set up recycling in your place of business. Fee: A 90 gallon bin starts at $22.23 per month with weekly pick ups. For a full price list, click here. Website:www.azjerome.com/jerome The City currently does not offer commercial recycling services. Local nonprofit Sedona Recycles offers self haul services with drop off locations throughout Verde Valley. The City currently does not offer commercial recycling services. There are several locally owned recycling companies in the area offering recycling pick up and self haul. Website: www.prescott-az.gov The City currently does not offer commercial recycling services. Local nonprofit Sedona Recycles offers self haul services with drop off locations throughout Verde Valley. Website: www.sedonaaz.gov The City currently does not offer commercial recycling services. Local nonprofit Sedona Recycles offers self haul services with drop off locations throughout Verde Valley. What the city offers: The City currently does not offer commercial recycling services. Search the Local First Waste Management category for recycling options. What can be recycled: Paper, cardboard, all plastics, cardboard, paper cartons, small metals, and aluminum cans. For full list and more information, click here. Process: Contact the city to request recycling at your place of business. They will deliver a bin. Fee: Starts at $50 a month for one bin pick up, goes up to $75 for two bins.